Süle is a Hungarian law firm exclusively handling European & Hungarian intellectual property, data protection, IT law and media law cases. We are the No. 1 on the TOP 25 E-users per Country List of the EUIPO (European Union Intellectual Property Office) for three consecutive years (2016, 2017, 2018 and counting) for Hungary. Our advice is recognized as proactive and extremely responsive. At the core values of Süle Law Firm is our international approach and our entrepreneurial spirit. We have a strong focus on understanding our clients’ intentions to be able to become their powerful advocate. We aim to deliver comprehensive legal services tailored to the needs of your business in a cost-efficient manner. Bound by continuous innovation, we strive to practice law in a cutting-edge way. 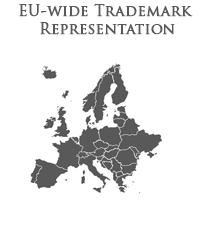 Our attorneys and European trade mark attorneys are all recognized professionals.